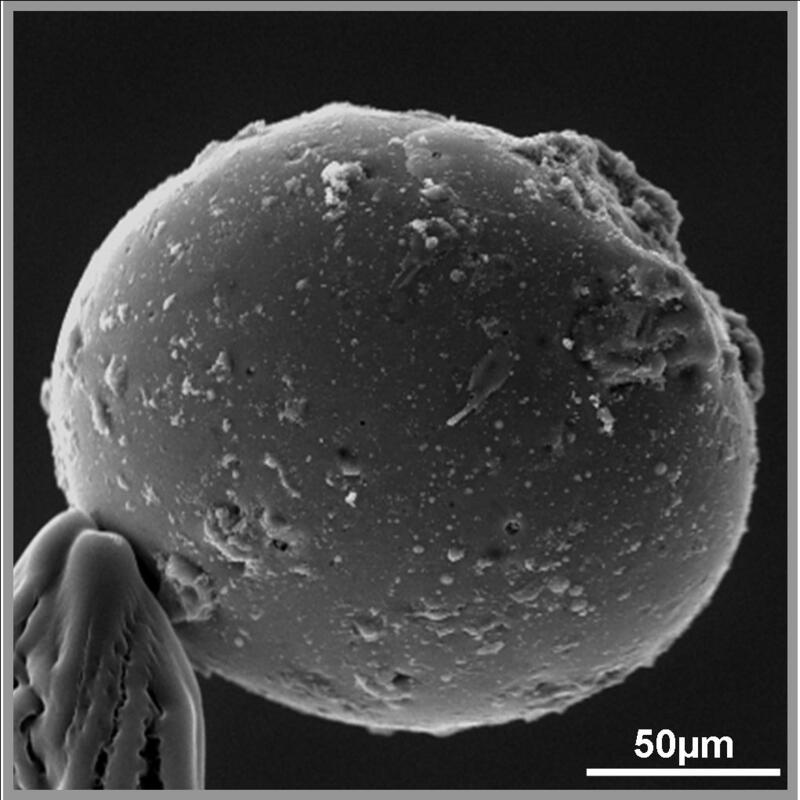 A glass spherule – formed by a splash of molten regolith solidifying before it returned to the lunar surface. 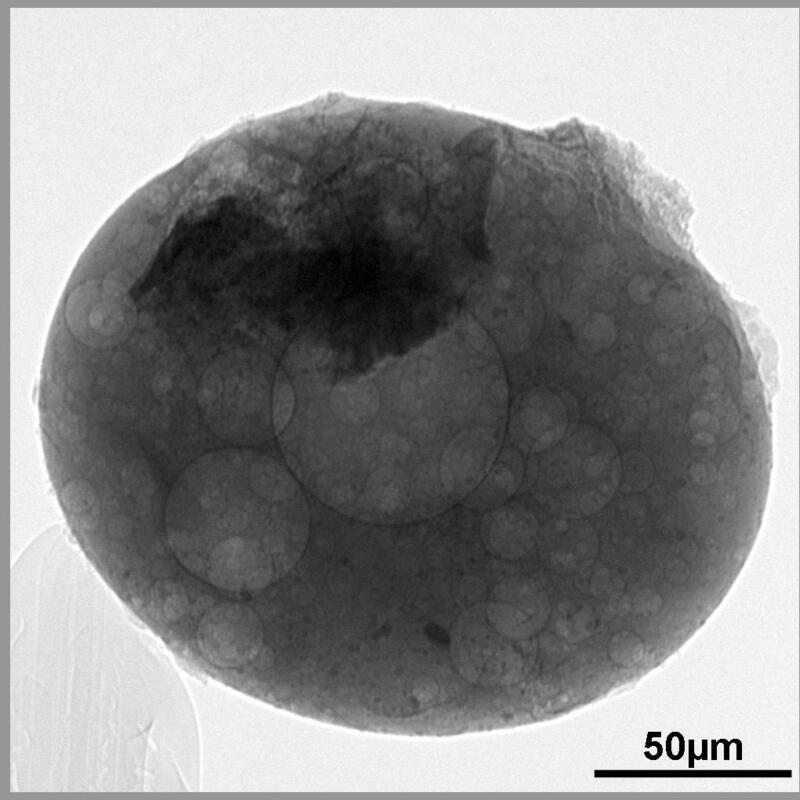 The spherule contains a large dense inclusion, thought to be ilmenite (FeTiO3) and numerous internal pores, the largest of which has a diameter of approximately 63 µm. These pores have formed by the evolution of trapped gases during the melting of the lunar regolith. The bubbles of gas became trapped in the viscous melt. The number of internal pores shown in this X-ray image is far greater than previous research suggested. Until now, the only way to see inside these particles has been to section through the particle which only allows you to image a 2D slice. In this case we are viewing the internal structure of the entire particle all at once.